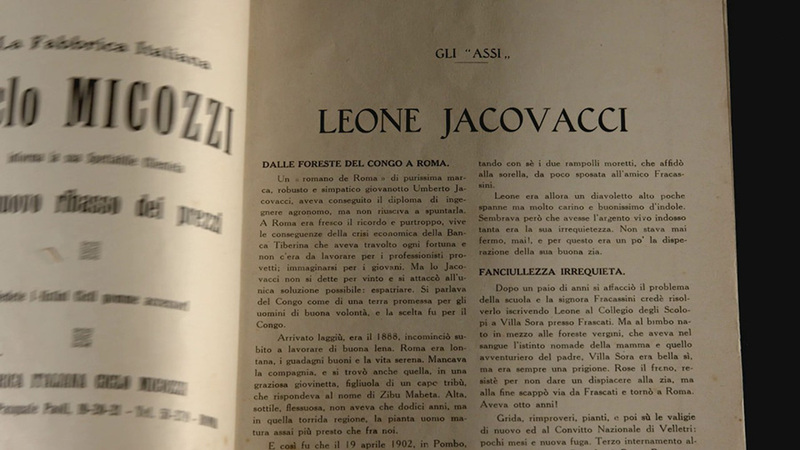 Rumor has it Leone Jacovacci died in Milan in 1983 after seven heart attacks, the first in 1974. He was a concierge. But I believe he never actually died. He continues to wander around us like a ghost stuck in between the living world and the afterlife, impatient to peacefully leave his motherland, Italy. But he can’t let go, not before closing an unresolved chapter: his whole life. Italian father, Congolese mother, Leone’s story is one of an unrecognised identity, a story full of tension, emotions, sorrow and violence, told by Tony Saccucci’s documentary, The Duce’s Boxer – Il Pugile del Duce. 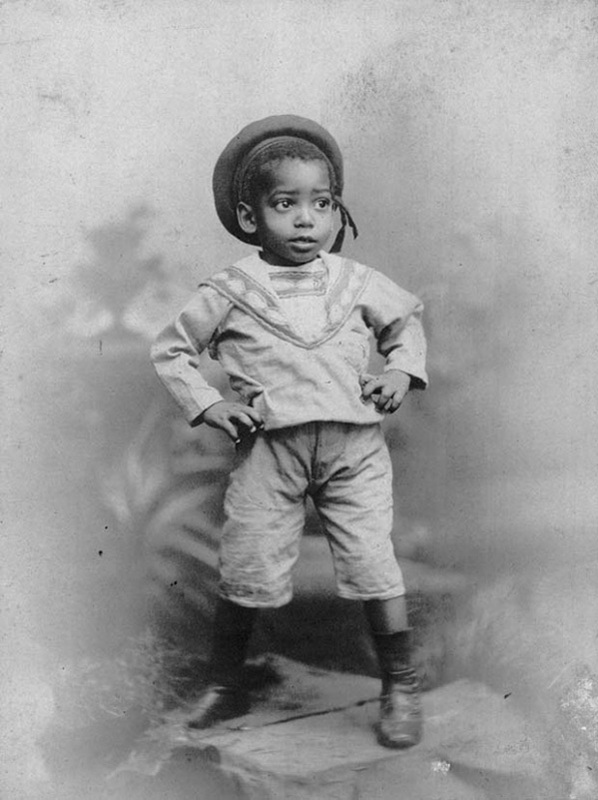 Leone was born in Congo in 1902. At the age of three his father took him away from his mother and raised him with the grandparents in Italy, near Viterbo. He had a rebellious personality and at the time Italy was way too narrow-minded, so he decided to board a British ship and work as a ship’s boy. Once he was in England, he changed his name to John Douglas Walker because, given his black skin, things would have been easier if had had an English name. There he learned how to box. In 1920 he jumped in the ring by the name Jack Walker for the first time, and that’s when the rise begin. Jacovacci was a war machine. The black Roman who perfectly spoke four languages (five including romanesco) won a match after the other, especially in London and Paris. But when he went back to Italy, his success began to decline. Even though Italians loved him – especially people from Rome – his biggest opponent wasn’t on the ring but outside: the Duce, the fascism, the racism. His fight to “become Italian” was marked by obstacles and humiliations. A half Italian half African boxer couldn’t represent Italy abroad. After all, Italy was busy colonizing the Horn of Africa. 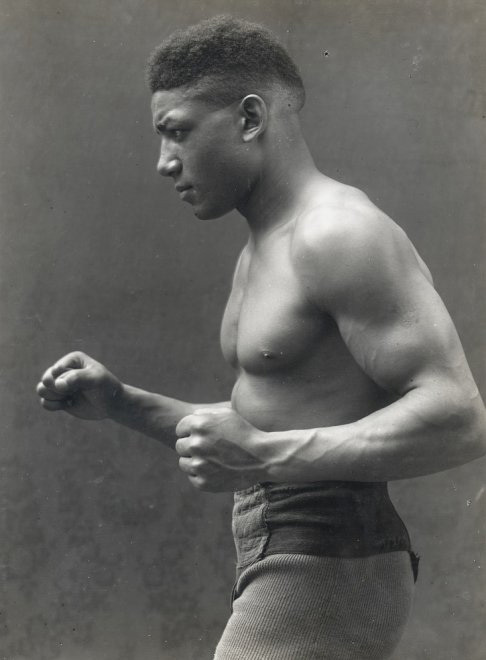 Nevertheless, on 24th June 1928, after Leone got the Italian citizenship, he fought against another Italian, the pure italic white race European and national champion Mauro Bosisio. 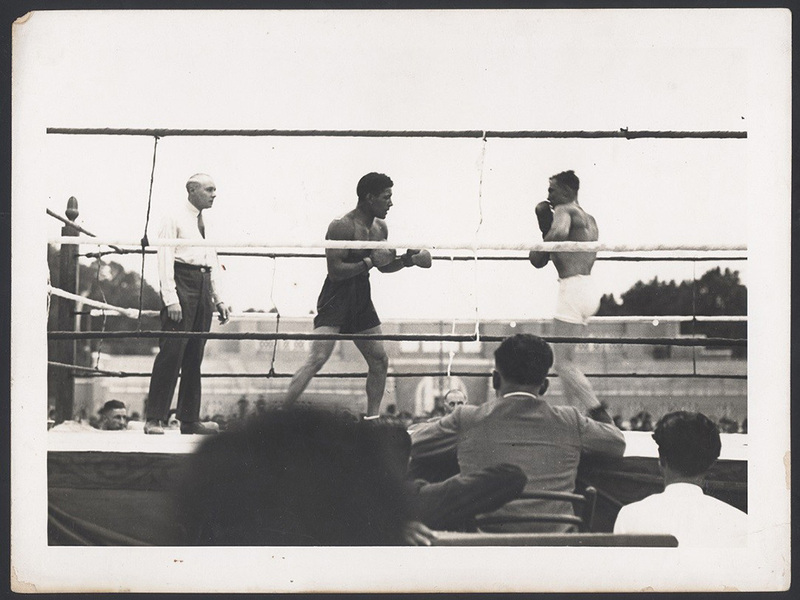 That day at Studio Flaminio, in front of 40.000 people, Leone Jacovacci won the European middleweight title. A bittersweet victory that would mark the beginning of the end and the removal of Jacovacci’s story from Italian history. After watching the film I was overwhelmed with emotions. Frustration, for a man that wasn’t accepted by his own country. Admiration, for a man whom I believe can be considered the first Italian activist fighting for the civil rights of African Italians. But more importantly, he fought a system that was trying to deny his humanity. Ninety years later, his battle to be recognised as an Italian citizen reminds me of today’s battle of the Italiani Senza Cittadinanza – Italians without citizenship. Sitting in a restaurant in front of two vegetarian dishes, I managed to spend a hour with The Duce’s boxer’s director, the documentary based on Mauro Valeri’s book, Nero di Roma – Black from Rome. I am extremely thankful to Valeri, one the greatest Italian experts on racism, for collaborating with professor, writer Saccucci. Together they managed to make a film that can help Italy empathise with Leone’s story and make many more Italians like him feel like they are the sons and daughters of their difficult but beautiful motherland, Italy. At least, that how I felt. GRIOT: Tony, what made you want to make a film about Leone? Where did the idea come from? We started working straight away and one day I asked him why he had decided to dedicate six years of his life to the story of this boxer, starting with a newspaper article he had found. Well, when he told me the reason why, I stopped everything we were doing as I wanted to tell Valeri’s story as well, which is also part of the documentary. I was very lucky. The Istituo Luce, producer of the film, loved the project no matter the slight change of subject. I also had the opportunity to work with an exceptional team. 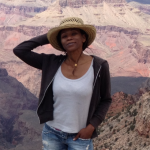 I’m the director but all the people who helped me have got great skills, professionally speaking. The research behind this film must have been very thorough. How long did it take to make this film and find all the archive material? Was most of it provided by the Istituto Luce? Yes, it was very long. Some documents were from the British Pathé – the British version of Istituto Luce – but there was nothing about Jacovacci. 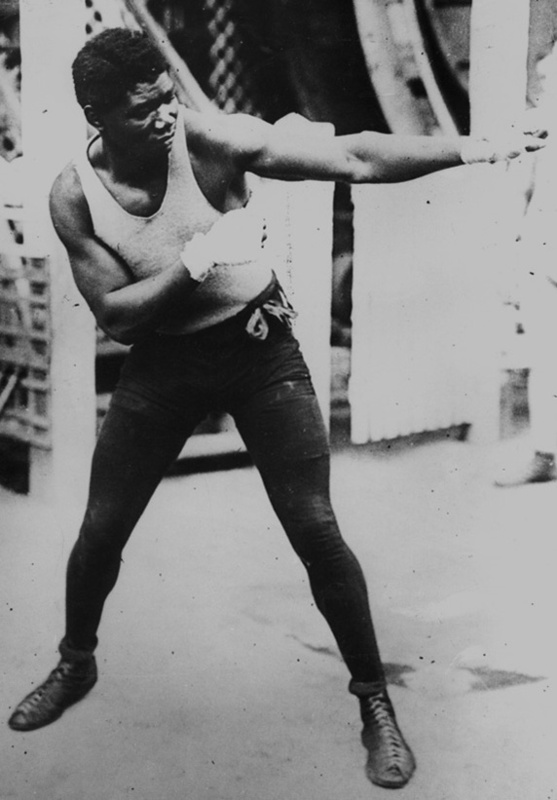 We found an article on Jack Dempsey, the American boxer whose name was taken by Jacovacci, and something on Battling Siki [Amadou M’ Barick Fall, the first African – Senegalese – to become world champion in 1922.] We also found pictures in Coni’s archive, but most of the material came from Leone Jacovacci’s himself as he had kept everything and his daughter gave it to us. It took four years to complete the film. Since I started reading the screenplay in 2012, we began filming on April 19th 2015 – I remember because it was Jacovacci’s birthday. Yes, absolutely. Chatting to Mauro he said: “Did you realise today it’s Leone’s birthday?” But it actually took fifteen years to bring the light back to this concealed story. Fifteen years since Mauro Valeri came up with the idea. You said that by making this film you wanted to teach something to young people because, as a professor, you always think of your students, don’t you? Yes I did! And I carried out a few tests because 17-18 year old students have got a very short attention span. If they start fiddling with their smartphones, you must change what you’re doing. So one day I showed them the first twenty minutes of the film and only one of them got distracted. That’s when I realised I was on to something good. Cinematography is a universal language that allows you to simplify a message that is very important to get through to young people out there. How many “Jacovaccis”, black Italians, did you know before starting working on this project? I come from the mountains and I was born in 1970. Since the age of 25 I lived in Vallinfreda, a tiny village between the regions Lazio and Abruzzo. I studied philosophy at the time and I often used to drink tea with a Moroccan guy that used to invite me at his place in Casablanca every single time. Another time, in the eighties, I went to visit my grandmas. She was born in 1901 and died at 97. One day a Senegalese guy arrived in town selling socks – I always tell this story to my history students. He came to ours and my grandma totally freaked out when she saw him because she had never seen a black person before. So yeah, this is my background and as you can imagine it wasn’t easy for me to meet people of other cultures. Now I know you, Daniele and I have some Italian students with a mixed background. You must be their hero. Do you reckon they will all do history or philosophy at university? Perhaps they will now that the documentary has come out, but at the beginning we couldn’t imagine it would get so much attention. On March 7th, 700 people came for the premiere at Auditorium in Rome. It was so emotional. You’re a history professor. There’s a scene in the documentary that struck me – even if there’s no blood – because it shows the violence of the Italian colonisation in Africa. There’s a man girding a woman, forcing her to spin around. Actually it’s not a woman but a man, I found out not long ago. I’m glad you noticed, that is the most violent scene in the movie, you can see the constraint, the confusion, the anger (s)he’s facing. The power of that scene is emblematic, also because of the music, which had to be composed three time to perfectly accompany the scene – it had to be as cinic as the scene itself. It’s very dry it doesn’t comment on what you see because the images speak for themself. The final song was produced by the rap duo Diamante & Sandal, and Daniele is Italian-Brazilian. I like it because it says that you can do anything with rap. Where did you meet them and how did you explain what type of score you wanted for your film? This is a very interesting story. 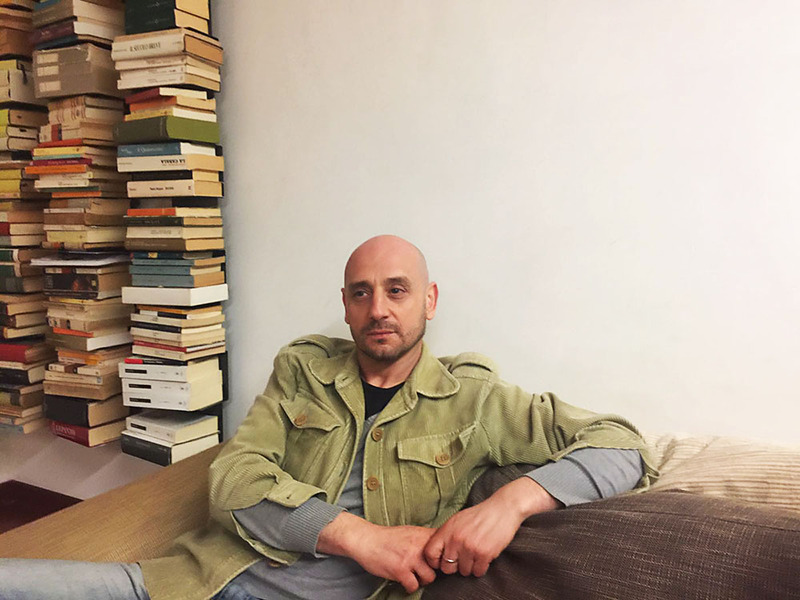 Daniele Vitrone is former student of mine from 1998 – the year I started teaching – but not only, he’s the main character in a documentary by Sabrina Varani [cinematographer of The Duce’s Boxer] called Negri di Roma – Niggers from Rome – the name of Daniele’s old rap group. One day Sabrina gave me this documentary to see if we could work on a collaboration. In the opening scene Daniele is at the stadium with a friend shouting “Go Roma!”. So the next day I phoned him and asked if he could rap a poem about Leone Jacovacci to use as the final score of the documentary. 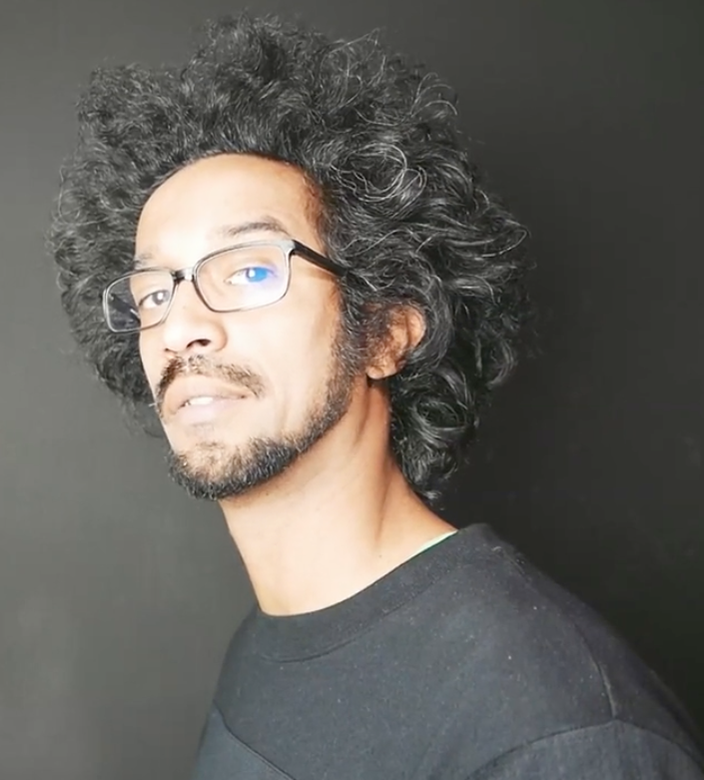 I didn’t heard from him for six months, till I received an amazing track telling Leone’s story. Daniele hadn’t seen the film yet but he had read Valeri’s book for the second time. Without knowing what we were doing, Daniele managed to say all that I had narrated in the film in a completely independent way. As an article suggests, this story could have been a Hollywood hit. But we’re in Italy and this is an Italian story. I think it’s very important that this film was made by an Italian and not an American director. Last night I saw Christiane Amanpour talking about the Duce’s Boxer on CNN. So, how are you running the international distribution of the film? The film is going to be shown at the European Parliament on 30th March. There’s an English version as well as I’ve always thought of this documentary like something that should go international. It’s really difficult to see Italian actors of African, Asian or Middle Eastern origin taking parts in TV or cinema productions. Why do you think there’s such a lack of diversity in TV and film’s narratives. I believe diversity in Italy is still perceived as dangerous therefore it’s scary for people and culture reflects this weakness. Things will change in the future, we are mixing more and more. I haven’t had a TV since 2001, it was my own choice. But I thought things had gone better in the past sixteen years. If the situation is still the same, I hope my film will help to get over old and silly preconceptions. 21st of March is International Day for the Elimination of Racial Discrimination. On this day Leon Jacovacci will finally feel allowed to die and peacefully leave his country, Italy. Don’t miss the chanche to discover the story of a boxer, a man, an activist who is going to win back his honour. Thanks Mauro Valeri. Thanks Tony Saccucci. Here’s a list of cinemas showing the movie in Italy.